Barbados has growing problems of non-communicable diseases and a rapidly ageing population. How can good physical planning and design improve the wellness of the nation and provide accessibility for everyone to an improved quality of life? 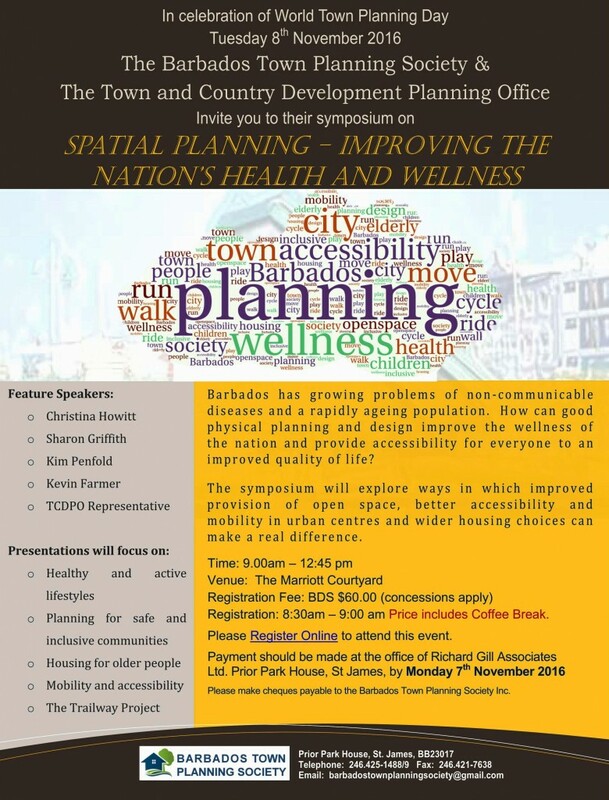 The symposium will explore ways in which improved provision of open space, better accessibility and mobility in urban centres and wider housing choices can make a real difference. This entry was posted in Symposiums & Events by admin. Bookmark the permalink.